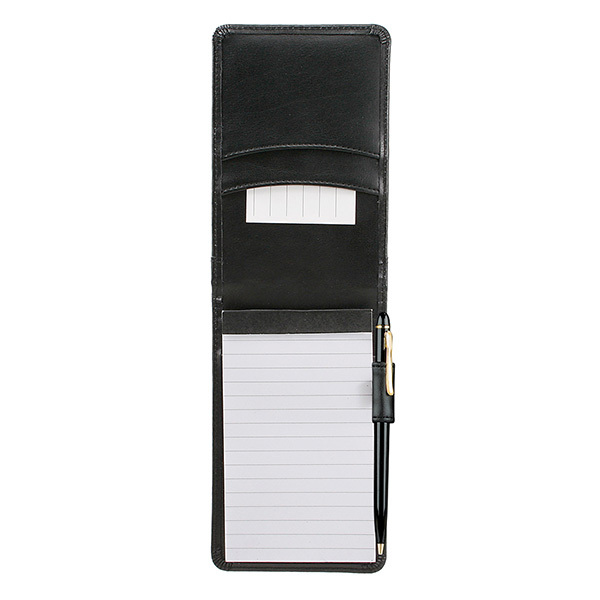 Mark down an outstanding promotional giveaway for your next campaign with the Monte Carlo leather pocket jotter. Measuring 3 3/8" x 5 3/8" x 1/2" and available in black or brown, this handy notepad features an elegantly stitched and padded exterior and fits nicely into your jacket or shirt pocket. 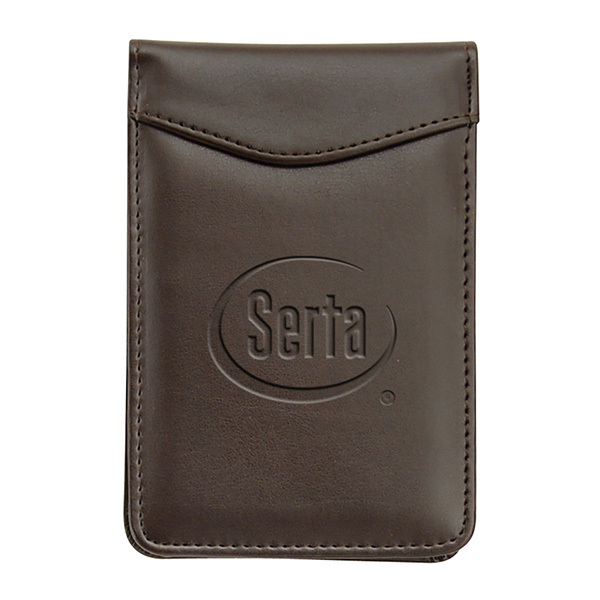 It comes with a 3" x 5" paper pad, an elastic pen loop and two pockets for business cards. Customize with an imprint of your company logo and message to create a memorable gift for professionals and students alike. Item Size 5 3/8" x 3 3/8" x 1/2"
Case Dimensions 13" x 21.25" x 8.625"
Deboss/Foil/Pad 2 1 color, 1 position imprint N.A. "All Quotes are Estimated" - Cost May Vary.